I had the privileged of meeting Gene Dykes recently - humble unassuming and FREAK!! (in best possible way). Gene's PB marathon is 2.54 - no typo that is 2.54, oh and he is 70 years old! When I got chatting to him as we shared some trail time (yeah he does trails as well) the story only gets more impressive. Firstly I sheepishly started the conversation with - "Congratulations Gene, 2.54 is amazing!" - he replied "and change?" Ha ha ha the seconds matter to Gene. Then I asked "So Gene what is your life time best Marathon time? ", thinking I was going to make a complete idiot of myself by not know an Olympic Champion or World Record holder from yester- year... He looked at me puzzled... "That is my best, 2.54...and change"... My brain was doing a back flip - this guy just did his life time best of 2.54...and change at 70! He went on to tell me he got a coach 5 years ago and has improved every year since.... WOW - now that is consistency and defying the ageist ideology of the modern world..
GRIT, growth mindset, persistence wow this guy has it all.. We run along chatting for a bit... Then he says "I'm getting a bit hot", that was fair, it was in the 30's and semi exposed, he adds - "It was snowing back home"... Crikey, mental note, never whinge about conditions again.. Gene goes on to say "I might just back off a bit, my legs are a bit tired".. There was a pause then he said " I've done a 100miler and few other little Ultra's in last 6 weeks that might be why" Holy wow do you think? But then again, Gene has also completed the Triple Crown, that is 3 x 200 milers (truth be known one is actually 240 miles) in 3 months. Regardless I take another mental note, never whinge about tired legs again! Gene went on to get an amazing finish and be an absolute inspiration to all that had the privilege to meet and share time with him that weekend. I really hope he continuous to do PB's and gets the official record at the Boston Marathon. Either way, cudos to you Mr Gene Dykes and thanks for the trail time! ​Mindset is incredibly influential on athletic performance and one of the most fascinating things about sport. Pay close attention next time you’re spectating or viewing almost any sporting event and you’ll easily be able to pinpoint the exact moment an individual athlete or team succeeds or implodes as a direct result of their mental fortitude. Any coach or elite athlete will tell you that while physical strength and conditioning are important, the mind is critical and an athlete’s ability to dig deep and transcend pain and fatigue when the going gets tough comes not from a superior body, but from a superior mind. It’s surprising then, that many athletes fail to invest time and effort into training the mind. While some athletes may consider mental training to be an “optional extra” (akin to proper nutrition, sleep, stretching and running drills … I didn’t just say that last one, Coach Rich!) there is a mountain of evidence available to suggest that it can lead to tremendous improvements in performance. Whether you are an elite athlete or a weekend warrior, being in complete control of your mind and your emotions will help you to transcend self-imposed limitations and perceived barriers to unlock your true potential. If you are a serious athlete, you will already be devoting 20+ hours a week to conditioning your body, honing your skills and perfecting your technique. While it is true that putting this significant effort into your physical training will yield results, if you’re after the competitive edge, you should be focussing some of this attention on training your mind. In endurance sport, tough times, rough patches and “lows” are inevitable during training and racing. If your mental state is weak and your self-talk through these difficult periods is negative (e.g. “I feel awful”, “this is too painful”, “I can’t push through this”), your performance will suffer. Conversely, if you are able to practice mindfulness, control your emotions and use positive self-talk, your performance can soar. While a date with a sports psychologist may not be on the radar (or in the training budget) for most of us, practising your mental skills alongside and during training sessions is something every athlete can do. It’s important to remember that training the mind is an ongoing process requiring patience, consistency and practice. You shouldn’t expect to turn up on race day and figure it out. It should be something you are practising and refining every single day. Indeed, come race day, it may mean the difference between triumphantly crossing the finish line or being allocated a dreaded DNF. Here are some suggestions to incorporate mental training into your every day. Begin training your mind just like you would train your body. Start by training in calm environments for short periods of time. Once you’re ready, push yourself into more stressful environments for longer periods of time. Remember too, these can be (and arguably, should be) applied across all facets of your life, not just in your endurance training. Practice gratitude and appreciation for what physical activity you can do, as opposed to focussing on what you can’t. This is particularly important for athletes going through periods of injury or sickness or building their base fitness back after a period of time away from the sport. Experiencing a little discomfort while doing something you love? Be grateful to endure. By emphasising your gratitude for what you can do physically, you are encouraging positive emotions. It is true that you will notice the joy in something more when you focus on your gratitude for it. se positive self-talk and positive cognitive appraisal. During training, focus your awareness on the messages going through your head. Positive self-talk such as starting your internal dialogue with the words “I can…” helps to train your body to tolerate discomfort more easily as well as lead to performance gains. Training confidence is extremely mechanical. Confidence comes not from your past successes or level of preparation but only from what you say to yourself. Your ability to adapt to various situations in training and racing and maintain a strong mental focus is greatly influenced by what you say to yourself, so self-talk warrants your consideration and attention. Set an intention for health and well-being before you train and try and stay connected to and focussed on this throughout the session. Focussing on a specific intention will also help to concentrate your attention on your session and cut out superfluous “noise” that could be going through your head, distracting you from the task at hand. Surround yourself with people who are supportive, encouraging and positive. Like it or not, FOPO (Fear of Other People’s Opinion) is another newly-coined acronym here to stay. And that’s because it’s a real concern for many people; one of the silent traps that robs us of success and holds us back. Surrounding yourself with people who genuinely want you to succeed and who are willing to lend their support and encouragement to help you achieve your goal will make your journey a lot more enjoyable, and a lot less stressful too. Control negative emotions such as anxiety by using relaxation techniques (e.g. listening to music, breathing exercises), helping to eliminate negative trains of thought. Emotions – both positive and negative - are incredibly powerful and undoubtedly affect cognitive function, energy levels and overall physical performance. How we perceive what we’re doing, the words we use to talk about it, how we assign meaning to what we’re doing, and the intention behind it all matter. As soon as you realise you are in control of how you react to things and you take ownership of these emotional reactions, many of your perceived barriers are removed. During training, think about your body and make sure you are moving the way you visualise yourself moving. When you’re not training, take some time to think about your sport and visualise yourself moving fluidly e.g. running with good mechanics or swimming with a smooth stroke. In a broader sense, you should also visualise yourself executing your goal race and achieving your goal. Picture everything from race day morning through transition and beyond – to the finishing chute. Think about how this makes you feel and then when you take part in your event, try and replicate it. Remember however, you must also visualise how you will respond to less-than-ideal situations that may arise and how you will calmly and methodically work through this discomfort – this will prepare you to deal with challenges that will inevitably present themselves come race day. Mindfulness and meditation are extremely effective measures to calm the stress-response in your body and are massive accelerants to mastering your internal domain. Paying close attention to your thoughts and what’s going through your mind and recording these in a training log will help you to notice patterns and themes that may be recurring such as self-doubts, self-criticisms and excessive worry – these are all restrictive. Becoming aware of and sensitive to these thoughts and thought patterns will help you to focus on specific areas of your mental fitness and enable you to correct and build a more optimal mental state. First comes awareness, which is then followed by action. Mindset plays an incredibly significant role in endurance sport; more than it is often credited for. While a weak mental state can lead to an athlete’s downfall, a strong one can be the “x-factor” that sets an athlete apart and takes them to the next level to reach their true potential. 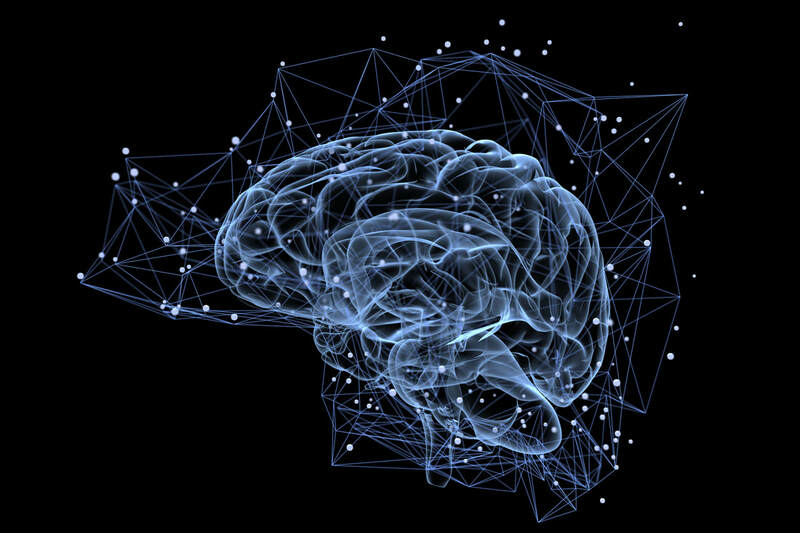 Incorporating some mental training into your regular regime may just provide the competitive edge you are looking for, with the added benefits of positively impacting your body and your overall health. In training situations, mental strength and conditioning will help you control your focus and enjoy the process more (even the hardest, most taxing training sessions) which will lead to huge performance gains and faster recovery times. On race day, having a strong mind will help you to control muscular tension (enabling you to relax and your control heart rate before and during events), rise to the big occasion and feel excited as opposed to nervous, and control your emotions to cope with unforeseen events that will inevitably occur during the race. Ultimately, all things being equal, the athlete who is in control of their mind and their emotions will outlast their competition to stand atop the podium every single time. Craig Millman putting in the hard yards towards Mt Hotham at the 2019 T:Zero Alpine Training Camp. I had my normal anxiousness leading into the race, but it was more under control this time. Coach Rich gave me the plan to execute and I focused on that. I’d like to get the plan earlier next time and I’ll talk to Rich about it because it gives me something to focus on and helps me to not worry about all the other "noise”. I don’t have a feel for where my run is in training as we’ve been doing so much slow heart rate stuff. Because I know my run is the weakest part of my race and it’s a reason I started with T:Zero, I really focused on the run leg in the few days before the race. I travelled to Goondiwindi the day before and had some anxious moments around my race wheels but got it sorted around 3pm when I hired a back wheel for the race from TLR. It was a big relief on the day and felt a weight lift as soon as I sorted it out. I actually had one of my better sleeps the night before. I woke a few times, but managed to get some good sleep as well which is unusual for me. I had my oats for breakfast and also managed to meditate for ten minutes. I’ve been using Headspace (a meditation app) and they have a sports and motivation series. I chose the concentration meditation which was really good as it touched on a few things that Grant Giles had talked about at the T:Zero Alpine Training Camp (reserve your place for the 2020 camp). Bike racking and getting down to the river was all super smooth and sorted. I felt ready to race. The basic plan for the swim was to control my breathing throughout the race, start slowly and steadily progress to RPE8 (perceived exertion) and try and find feet on the way back in the current. That 41:30 was from my watch, the official time was 43:57 which included the several hundred metre run up to transition. I was very happy with my swim. I felt like I was in control the whole way and I was happy with my breathing. I was passing people including in the previous wave and also had a few surges to catch up to a group in front so I wasn’t swimming alone. I started slow and worked my way into it. It obviously wasn’t super fast, but it was a good time for me and compared to other races and more importantly I felt strong and ready to go on the bike at the end. Overall, it felt easy. A couple of key things I concentrated on were head down and smooth breathing cycle. Easily my best transition. I had some thoughts prior to race about transition and wanted to get in and out. I felt like I did that well and jumped on the bike. My best transition in a race, easily. That time was from my computer. My official time was 2:25:59. I’m not sure why the discrepancy but I’m using the data from the computer for now (plus it’s quicker…). My plan for the bike was to have slow progression build up. 1-10km at 73%, 10-40km at 76%, 40-60km at 80% and 60-80km at 83% (if feeling good). 1-10km – Aimed to average 204 watts and I averaged 188 watts. I was very conscious of taking it easy here because it really isn’t something I’ve ever done! It wasn’t easy to get passed and not something I’m used to on the bike (mainly because where I come out in the swim, but also I’m not hopeless on the bike), but I just let people go and got head down and really controlled my breathing and heart rate (HR). I used some breathing techniques and tried to concentrate on what I was doing, not on what others were doing. 10-40km – Aimed to average 212 watts and I averaged 198 watts. This period was a little harder for me, because I felt like I could be going a bit quicker and it was a longer period. The road wasn’t easy and there were a lot of bottles and holes etc. I had to concentrate and that probably helped to keep my mind occupied. I was happy with HR at 138 here and was in control. 40-60km – Aimed to average 224 watts and I averaged 221 watts. This was a good period for me, as I was really starting to go past people and felt like I was riding like I normally do in a race. My HR was also good at 143 and again felt like I was in control and going well. 60-80km – Here I could increase to 232 watts and averaged 226 watts. I really passed a lot of people in this period. I know it’s not about others in the race, but it’s a real aspect of triathlon I look forward to because it’s one of the only areas where I’m passing people and looking strong. I’m as vain as the next guy and it’s the only time I feel like I’m any good in this sport. It was certainly a good period for me and I felt in control. Again, this transition time was pretty good for me (maybe a touch slow). I had to put socks on but still, I need to improve this. The above time is from my watch. My official time was 2:01. I’m using my watch because dammit I want to see a sub-2! This was where my race started. My focus was on getting this run right. My plan was to hold 6 min/km for the first 10km and then if feeling good go faster; if not then hold that pace until the end. I did my first kilometre in 5:15 and the second in 5:29. As I was running I was desperately trying to slow down; I knew what was happening, but I just couldn’t. At the second aid station I stopped and took a gel, and really got water in; not because I had to but because I wanted to reset and get my run on pace. This worked, and I then got into rhythm and a slower pace. Every time I looked at my watch I was doing 5:45 or 5:50, but I was feeling good so I didn’t worry too much at all. I got through the first 10km feeling good and was happy to try and increase my pace. Looking at my watch I was doing 5:30s and sometimes quicker. It wasn’t easy, but that first 5km I really concentrated on being bored and just lifting my feet – two things I’ve been practicing for a while. My HR increased after the 10km mark, and when I hit the 15km mark I wasn’t sure I could hold that pace. The last 5km I was pushing to hold pace and doing things like trying to run with people who were passing and also trying to catch up to others in front of me. This worked well and even though these people were on different laps and had nothing to do with me, it was a good feeling to pass people. I used that a lot through this section of the race. It’s the only run where I’ve passed people and I don’t mind telling you I felt good doing it and it helped me to hold that last 5km. It was getting hot on the last lap, but I’d say that overall the heat really wasn’t a factor all day. It was fairly mild compared to what we were expecting. I wouldn’t have wanted to do another lap though as it was heating up quickly. I don’t think I could have run much quicker, so I’m happy with that part of the plan. It’s easily my best run in a race and averaging 5:50 minutes per kilometre was easily my best in a race. I was happy. However, when I stopped and saw 1:58 I was a bit shattered. As I was running 5:30s and faster, I thought during the race that I was going to go close to a 1:55. I know it’s only a couple of minutes, but still. I was happy with this and gave it some thought before the race because of the predicted conditions. I ate a normal breakfast, although I would have like a little more water while waiting for the race to start. I used the first 10km of the bike to relax and get my heart rate under control, took a little Infinit and a little water. Every 10km I made sure I had my Infinit and water. At the 40km mark I took 3 Clif chews and also more chews at 60km. I finished my Infinit at the end of bike and also finished the water. I also had one canister of salt tablets on the bike. On the run, I used the new Maurten gels. I was really happy with these. They had no flavour and sat well in my stomach. I took gels at 2km, 5km, 10km and 15km and also had another canister of salt tablets through the run. It was the first race where I’ve taken all my salt tablets and I’m sure it helped. I made sure I had one whole cup of water at each aid station and started drinking a cup of coke as well from the 12km mark. It was my best race nutrition-wise and I’m sure this was a factor in my run. Happy with that. I’m not joking but I wasn’t happy with my time. It shocked me in the finishers tent when AK told me. I felt like I had executed my race plan really well and it didn’t quite match up in times. I know what Rich will say, so I’ll just say that I’m happy that I followed my race plan closely. I’m happy that I executed my nutrition plan. And I’m seriously happy that I actually ran the 20km and felt solid doing it, with a sub-2hr time. I feel like now I’ve run out a race, it’s a baseline that I can start to improve on. I also did this race at 100kg which is the lightest I’ve been in a race. I’ve lost 13kg since starting with Rich and have made good progress in the last two months. If I can keep that same progress I’d love to be doing Port Macquarie at 90kg. Primary Goal - stay in the present moment and have no judgment – you are the sky. Secondary Goal – do not shy away from difficult situations – I need to step up when the moments come. When there was any pain, I really leaned into it and concentrated on it. When I was uncomfortable on the seat at stages during the bike I just thought that it was good because I was in an aero position (for me) and it was a good thing. It really worked and soon wasn’t a factor. My last 5km I was struggling to hold pace, so I looked at external things I could use like catching others or running with people who had passed me. It gave me something to concentrate on other than how I was feeling. I also looked out for others, something I do in every race to keep out of my head. Looking for AK and Pete, also Ash and Mick and another guy that was running in a T:Zero hat who I’d never met. This helped me to think about someone else and not me. Overall, I was happy with HOTW and I can definitely use some of these learnings in Port Macquarie, as well as take a little bit of confidence out of it. For those involved in the world of long course triathlon, you would be hard pressed to find anyone who hadn’t heard of the young gun talent of Ellie Salthouse. The local Brisbane, 25-year-old has been taking the world by storm over the past few years showing she is a force to be reckoned with over the half ironman distance. However, it hasn’t all been smooth sailing for Ellie and how she has found her “calling” within the sport is a story that will no doubt resinate with us all. In my second year of living in Brisbane I was doing pretty well within the sport of triathlon. I was 21 at the time and I had been racing a lot over the Brisbane summer, most races landing on the podium. My coach at the time suggested I go and have a trial with the National Talent Identification program, which at the time was based in Carina. I remember thinking “wow, if he believes I have shot to make the program then I have to try out”. I remember getting to the pool and being surrounded by incredibly fit, lean and extremely athletic looking young rising stars. My first thoughts were to turn and run, I felt like my stomach was about to jump through my throat. However, I stuck it out and was grateful that my partner for the trial showed me a huge smile and made me feel a little more at ease. Without going into detail of just how not cut out for elite junior racing I was at this stage of my life, I did leave that day having made a new friend, an enormously talented individual who had just returned from National Cross Country and not once made me feel in any way out of my depth. I later learnt that that fit looking, happy and friendly girl was a 15-year-old Ellie Salthouse, her story and racing career I have been following closely since that day. Last week I had the pleasure to catch up with Ellie over coffee, share some of those old stories, learn about her battles as an up and coming athlete and most importantly hear first hand how Ellie is taking her 70.3 racing career to the next level. As a youngster, Ellie was an incredible swimmer and runner, she recalls having seen a weet-bix triathlon add as a junior and asking her parents to take her along to the event. From there, is was evident that Ellie had a love for triathlon, “I started after that race at the Clem Jones Sports Centre in the Junior program and had some incredible achievements as a young athlete including 2 Silver Medals at the Youth Olympics and a 12th place at the 2012 Auckland ITU Grand Final”. However, despite all of this early success and enormous talent, Ellie found herself at the age of only 20 hating the sport, not having a love for the racing and training and feeling an exhausting amount of pressure to continually make teams and qualification times, she had simply lost her “why” and belief in herself. Ellie took a 6 month break from the sport and upon returning to Australia realised that perhaps her best years within the sport were still to come. After some wise words from local triathlon legend Loretta Harrop, Ellie was put in touch with Siri Lindley, who in my opinion is one of the worlds’ most successful coaches. “I knew as soon as I met Siri and had that conversation that she would be my coach, Siri made me find a love for long course racing and training, made me feel more relaxed and most importantly made me realise that I was only racing for myself”. Ellie made the move to Boulder, where she still to date spends 6 months of her year training and being coached by Siri. When hearing Ellie speak of her coach and the relationship they have it became evident to me that Ellie genuinely has a true love and passion for the sport of triathlon. It is obvious that in one respect, Siri became Ellie’s saving grace and made her believe in herself and gave her the confidence to try her hand in the world of long course racing, a big move to make at the tender age of only 21. Ellie shared with me some invaluable tips and insights into her training and racing world as I asked her some questions regarding her career to date and her plans for the future. Ellie opens up about her dealings and learnings from 70.3 racing and kindly shares some of her thoughts regarding how all athletes, regardless of ability can get the most out of themselves, as well as provides some insights into her favourite racing locations and her dreams for the future. What would be your best advice on how age group athletes can achieve their desired goals within the 70.3 distance? “I think it is really important to have small goals each day, I find these help to keep you on track and accountable for your training. I think it is also really important that athletes tick off all of those little extra sessions, the stretching, strength and core sessions, they certainly help in the long run and to avoid injuries. I think it is also so valuable to have somebody who knows your goals, whether this be a coach or a friend or even a mentor, this individual will be able to help you at times when motivation may be lacking and help you realise your drive and your why, which is ultimately the most important aspect of success”. What would you suggest as the most beneficial training sessions for athletes entering the 70,3-racing scene? “Swim – I think it is really good for endurance and for mental toughness to do a hard set of 100’s with a very short rest cycle, only 3-5 seconds. So, the athlete is completing 30 or 40 of these slightly under race pace and having very little rest. Ride – I love a long bike ride over a 4-hour duration where the final hour is at target race pace. I do all of my riding my perception of effort and have found that power limited my potential and also having that constant feedback of numbers on a screen distracted me from how I was actually feeling at any given moment. I love this style of a training ride as it allows you to hit that final hour having already completed some volume and feeling relatively fatigued. Again, great for not only physical improvements but also a mentally rewarding set. Run – I find a good building run is again a really challenging yet mentally rewarding session. Knowing I have completed some really hard runs where I am required to run hard over the final 15 minutes of a 60-minute run really helps me dig deep on race day and givens me the confidence in my ability to do this under race conditions”. What would be your best advice to athletes in terms of maintaining a love for the sport and longevity in terms of their racing? “I think the most important thing is you need to enjoy it. You need to be able to listen to your body and have the discipline to rest and recover when needed. I have a rest day every week during my off season and every two weeks in my peak training season will take a complete day off and away from triathlon. I think also keeping on top of your strength work, stretching and massage will help keep the body well maintained. You also need to have goals! That is what drives me and motivates me every day, it will keep you accountable and make the process of training enjoyable and rewarding”. What would be your top 5 tips for an athlete moving from the short course distance (sprint/OD) up to the 70.3? “Keep some speed sessions in the swim, I found my swim training between these two distances relatively similar. Make sure you include some long rides, I think at least 2-3 four-hour rides before the big day. I think it is important to have regular long runs (90 minutes or so) but also equally as important to keep some speed in the run training too. Nutrition is also such an important aspect of long course racing, and needs to be well practiced in training”. 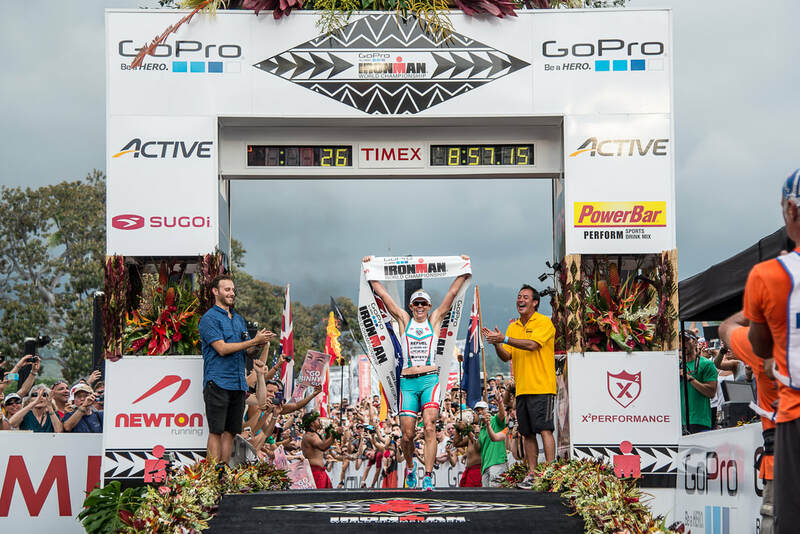 To date, what have been achievements in the world of triathlon? 1: Challenge Melbourne 2016 winner – this really validated for me that I had made the right choice with my training and racing and had found my love again for the sport. What would be your favourite 70.3 races and why? “My favourite destination to race would be Cozumel, it is so beautiful there and I love racing in the heat and humidity. I also love the course at Boulder. It is a hilly bike and the run is mostly on trails, it is also at altitude which makes it even tougher”. I am so grateful to Ellie for taking the time out of her busy day right off the heels of a runner up placing at Geelong 70.3 only two days prior to having a coffee with me in the heat and humidity of a Brisbane summers day. Ellie is the type of person who just boasts a true love and enjoyment for the sport and having heard her story, is truly thankful she returned to the sport where she still clearly has so much more to give. Her beaming smile radiates confidence and her attitude to training and racing is the perfect example of how hard work, consistency and self-belief can conquer all. Ellie will soon leave Brisbane and head to the USA in preparation for 70.3 Oceanside in early April. Ellie has a swag of 70.3 races coming up over the course of 2019 all with goal of lining up for the 2019 70.3 World Championships in Nice to be the number one female athlete in the world. Ellie is a star to watch and even more importantly a genuinely lovely, kind hearted and caring individual who is one to keep your eye on in the year ahead. No doubt all of us as athletes can take home something from Ellie’s sharing’s! Learn more about Coach Em here! If you are living in pocket of the world with less than favourable weather conditions, like myself and many of our Tzero athletes, dealing with these elements can be a real challenge. In the tropics, we have extreme heat for six months of the year with insane humidity, coupled with cyclones, wet season and other dramas which impact on our ability to ride and run outside. It was during the recent monsoonal low where it rained for nearly four weeks straight that I found myself loving my indoor sessions and really starting to see the benefits and gains that come from indoor training. I know most people hate to train inside and will give you a brilliant argument of why you should be training in all weather conditions. I can see the benefit of training across all conditions BUT when it is not possible due to your own safety you need a solid option B and sometimes here, it's option C!! I will add a caveat to this article and put it out there that I am a massive fan of indoor training regardless of the weather. This love of the trainer and treadmill was borne from the fact that I have had two very serious bike accidents within 4 weeks of each other in the past 2 years that has left me lacking confidence (it is growing, albeit slowly) and recognising the gains that indoor cycling especially provides me with very structured workouts. Couple this with the fact that I love to sit in front of the TV and watch cartoons and listen to podcasts and I will happily spin away for hours on end! Here are some of the benefits I have experienced from my summer of indoor training! Safety – we all know how dangerous riding on the road can be, couple that with broken bottles and people driving at you and it is a recipe for disaster. Training inside removes this concern and allows you to focus on the session. I am doing the Peaks Challenge in a few weeks and indoor bike training has allowed me to use the Zwift platform to ride up hills and then find more hills and keep going. I have found this to be an excellent tool to make sure you get the hills in each week and you don’t have to worry about coming down hill on slippery roads! Indoors training allows you to train when and where you can. It removes a lot of preparation time and allows you to get a solid session completed in a timely manner. Indoor sessions are gold for time poor athletes! The big one for me is the building of mental strength whilst training inside. There is no hiding, no stopping at lights and no coasting down a hill. You have no wheel to sit on and get a free ride, it is all you and if you keep focused on the power numbers you are prescribed you will build your resilience to suffering and build a lot of solid mental toughness! Some of the biggest names in cycling and triathlon spend a significant amount of their bike time inside. Matt Hayman won the famed Paris Roubaix simply by doing Zwift sessions whilst recovering from a broken collar bone. He did not do a single outdoor session before the race and not only did he hold and improve his fitness levels whilst recovering from injury, but he won a race that is so demanding and requires super human mental toughness and strength. In triathlon, Lionel Sanders openly supports indoor bike training and is a massive fan of Zwift as is Jesse Thomas. Both these pros have their own group rides on Zwift and are very interactive with other riders. I know indoor training can be a mental challenge, but the next time you are programmed an indoor bike or run session, instead of seeing the negatives (it is boring, I hate it, this is stupid etc) see the positives, jump on and embrace the challenge and see the changes occur in your mindset and attitude! Pretty soon you will be a fan of the indoor sessions and you WILL see improvement in your techniques, performance, numbers and mental toughness! Enjoy your training and be safe! What drives you on race day? What is your focus? Do you have a preconceived time or place you are aiming for? Or do you simply not want to come last? Are you crazy nervous in the days leading up to the race or even race morning? Here is a little secret, that implemented correctly will keep those pre-race nerves at bay and will unlock your potential and crush any goal you may have previously set for yourself. So…when someone asks you what your goal at a particular race is – what do you say? I want to break 3 hours? I want to break 10 hours? I want to come top 10 in my age group? I don’t want to come last? I want to qualify for Kona? The reality is, your time and your position at any given race is simply out of your control. Let’s focus on time to begin with. Time is only one type of measurement of performance and importantly, it is far too variable based on the conditions (heat, humidity, wind, accurateness of course etc). Do you start your watch when the gun goes off? Or worst still, do you look at your watch when you get out of the water? There is no benefit to either practice. If your watch tells you a negative story (ie slower) or even a positive story (ie a faster than expected time) all it is doing is giving you a false sense of reality as you head to the bike. The swim could have been long (or short), the currents, the chop etc could play an important part. Similarly with the bike and the run, if you are focused on a speed or pace then you aren’t focused on what is important during the race – your effort that you are giving that is not controlled by the conditions. Reaching the podium or qualifying for Kona or even not coming last are all matters outside of your control as well. Where you come in a race is only a reflection your peers – not on your actual performance. Let me give you an example. If your goal is to break 5 hours at a 70.3 and you have an ordinary day, walking the last 3km of the run but because it was a breathless day and a fast course you cross the finish line in 4:58. Whilst you have achieved your goal, you know that you didn’t put in your best effort and this sort of performance will still leave you searching. Similarly, if you have an unbelievable day in tough conditions and you cross the finish line in 5:08 – you are going to be stoked about the performance rather than the time. The goal in training is to improve your ability in the sport. For most of the T:Zero Collective this is a long term process. When you turn up to a race, your ability is constant. You can’t do anything more to improve that. What the focus must turn to is the effort – what percent are you willing to give of yourself. The secret to ultimate success in this sport is to focus on ALWAYS give 100% of your ability. You cross every finish line knowing that you have given your all and that the performance each race is a true representation of what you have been doing in training. The time, the place are both irrelevant. If you focus on nailing each race, then it becomes a habit. You keep training hard, your ability will improve and there will be no doubts when your big race comes you will give 100%. The athletes that have done very well in the past and who are doing well now are the ones that are prepared to go into battle in any race, no matter how important and no matter how fit or otherwise they are. The ones that struggle to pull out great races when it counts are the ones that don’t make it a habit. Pre race nerves are normal and often beneficial. The nerves should be there because of the personal sacrifice you have made to get to the start line, not about trying to achieve a certain time or place. Focus on only what is in your control (ignoring/accepting things that aren't in your control) and your prerace nerves will plummet. Here is the sealer – If at every race from now and into the future, you focus on the performance being as close to 100% of your ability, not on the external outcome, then you will surpass and sort of material goal you had set for yourself along the way. We work so hard on our ability through training to often sabotage our effort on the day. Stop thinking about the competition or a certain time, and start demanding from yourself everything you have in training and on race day. It is 'you vs you' and be making sure that is the focus, you will achieve more than you ever thought possible. You have got this, so go out and get it! Geelong 70.3 is at the perfect time of the year for me, as a primary school teacher I get to do most of the build during school holidays. It’s also the closest 70.3 for us living in Adelaide. Probably my B race for the year, and always I good one to see what a difference a year of training makes. Third time both me and my partner Sam have packed up the car and driven to Victoria. We know when to get there, where to stay and to always pack winter gear - just in case as Geelong weather can be unpredictable! I had a solid built, with no injuries or illnesses. Felt good and ready to roll come race weekend. Mother Nature was kind last year, and this year was no different. Very light winds, mild temperatures - I think it got up to 27 for the day. Calm and mostly cloudy in the morning, pretty much perfect swim conditions. Due to sea urchins near the swim entry, the organizers changed the start from a wave start to a rolling wave start letting two people go in 5 second intervals. F25-29 and 40-44 were going together as the third wave for the day. So much better than starting all the way back like last year! The swim is a triangle that I like to split in thirds. First one trying to find my rhythm and some feet to sit on, not that there were many around due to the rolling start. The second third luckily wasn’t as lonely as the first and I found others to swim with. Pace was steady, pushing it still but something I could maintain. Last third was faster as you get a little push from the current/‘waves’/whatever it is - and I remember thinking ‘Jeez this swim has gone quick’. It sure did 34:43 - a 3-minute PB! The best possible start to the day. First time in a triathlon my swim was in the top 50% for AG and gender. My new wetsuit not only allowed a better range of movement in the water, but also came off quicker in T1. My T1 was quite uneventful, which is probably a good thing! I remember hearing Craig Alexander call the bike course in Geelong ‘honest’. It has faster flat sections, winding rougher roads through the parklands as well as one bigger hill (nothing crazy though). The 2 lap bike course is super exposed to any wind, and two years ago that direct 30+km/h headwind was brutal - we were so lucky with weather this year! This was my second 70.3 racing with power, so I had numbers in mind and I managed to hold on to what I was expecting. The plan was to build, but I got carried away at the start so instead of it being a build, I more so took it a bit easier in the last 10K (you know, given I had a half marathon to go!) 2:48 for the bike, 8 minutes faster than last year and 27 minutes faster than 2 years ago. Happy with that! Always such a relief to get to T2 without any mechanicals or flats! Not my quickest transition, but not my worst. Swapped my shoes, grabbed my race belt, visor, two gels and started running. I quite like the run course in Geelong! You wouldn’t call it exactly flat, but all the undulations are manageable and there are flat sections too. Crowd support is great! Warm and sunny by this time, and no I’m not complaining, two years ago it was merely 10 degrees and it wasn’t that pleasant to say the least. Started off steady, a pace I could easily maintain. Had a gel at 7 & 14Ks and water and ice at every aid station. I also poured ice into my trisuit every chance I got to keep me nice and cool. Enjoying the scenery, the parklands and the waterfront - probably more during the first lap! 12-18K I had a choice to make. Keep it steady and comfortable or speed up. I chose to maintain the same pace. In hindsight I should have picked up the pace here. At 3Ks to go it’s all downhill to the finish line and I sure picked up the pace. Given my last 500m I was running at 4:00min/km pace and I got to the finish line feeling good and jumping around so stoked to get a 10-minute PB, I can’t really say that I emptied the tank during the run. 1:44 for the run, a minute slower than last year but a valuable lesson learned - don’t settle when you’ve got more to give. To me racing is all about beating my previous time (given conditions are comporable) and effort. I finished in 5:13:37 which I was very happy with, 6th from 34 finishers in F25-29. There would have been a Women for Tri 70.3 world champs spot for me at roll down, but unfortunately, I need to afford food and hence gave it a miss haha! Until next year Geelong. We’re roughly two months into the new year and for most of us, our training and racing goals have already been developed and set in collaboration with our respective T:Zero coaches. Training Peaks is probably looking nice and green too – rolling hills for days. It would’ve been easy to write yet another generic article on tips for getting back on the training wagon when the wheels have fallen off. But indeed, when you take the time to stop and consider loss of motivation, these superficial measures aren’t going to tackle the real problem. The real problem is an ill-defined ‘why’. Your why is not the result. Your why is the reason you’re striving for the result in the first place. Why: To push myself beyond what I am (seemingly) capable of (mentally and physically); to see if I can make it. Before tackling your why, of course you must first set the huge goal; one so big it scares the [insert expletive here] out of you. Think back to your first Ironman (or first ever triathlon, irrespective of distance). Your why driving you to get up and train every morning, without fail, is the fact that you’re not quite sure if you’ll even be able to do it. Your why is clear. It’s highly likely you’re genuinely scared. You’re “all in”. Fast forward down the track, with a few more races under your belt, and perhaps your why is not so clear anymore. Why are you here again? What are you trying to achieve? A better time? Is that motivation enough? This is a big reason why athletes often find it difficult to revert to compete at lesser distances and remain enthusiastic about it, once they’ve finished an Ironman. Sure, there’s always a performance factor – the desire to do better – to race faster – but is that enough to get you out of bed before dawn, every morning? Without a very clear understanding of the reason you’ve committed to doing a race, your journey will be a struggle. And the destination (should you make it)? Not so sweet. Realistically, if you’re dragging your heels out of bed, or continually hitting the snooze button, your drive isn’t strong enough. Conversely, if you are unreservedly clear on your why, you won’t struggle to find that motivation to get up in the dark and train. Sure, you might be tired, but you’ll still get up and get it done. There would be absolutely no argument in your brain about whether you should be doing it. For any athlete who truly wants to get the most out of their journey, it’s vitally important they have a clearly defined why and then continue to revisit it, reassess it, ask the question often and write it down. Mental strength is such a huge component of endurance racing, and the why factor is arguably the biggest mental hurdle of all. Once you’ve overcome it; once your why is clear, so becomes your path. Recognising that your why can change throughout your journey, and your ability to be open to that change, is also important to consider. Take this coaching example of an athlete in her mid-50’s, with minimal endurance history. Her why was to see if she could finish an Ironman. Her coach got her swim and bike to a standard whereby she could walk the entire marathon and still cross the finish line in under 17 hours. Four months out from race day he told her she didn’t need to do any more running. Confused, she asked him for an explanation. The athlete was still projecting her original why, but when strategically challenged by her coach to re-evaluate, she realised her why had changed. She now wanted to run the whole marathon and see what she was truly capable of. Certainly, this story is not unique. The desire to discover one’s ultimate capabilities is what attracts so many athletes to endurance racing in the first place. “Climb the mountain not to plant your flag, but to embrace the challenge, enjoy the air and behold the view. Climb it so you can see the world, not so the world can see you.” ― David McCullough Jr.
For many athletes, it’s not until the finish line that they realise it was never about crossing that line, but it was about the journey in the lead up to race day. In endurance racing, the most enjoyment comes from the grind of that journey and to be successful as an endurance athlete, you need to get solace and fulfilment from that grind. The early morning wake ups, runs in the pouring rain, solo hours on the bike, missed work drinks and everything in between – that’s the real deal. If you have a very clear understanding of your why, you’ll be able to look back on these experiences and the journey as a whole with warm nostalgia instead of complete resentment. If your why is clear, then the reward comes from the journey itself. So what about metric gains? Aren’t they important too? In short, yes, they absolutely are. However, if your motivation is fuelled purely by a desire for metric gains, then the journey isn’t going to be enjoyable and you’re not going to get the most out of it either. Reflecting on a range of T:Zero athletes from years past, those who have seen the most improvement in metric gains over a short period of time are those who in their souls have embraced the grind of the journey. So, when they arrived at the start line, the result didn’t really matter. Whilst they wanted a good outing, regardless of the outcome on race day, they’d already won. Finishing the race within their perceived achievable timeframe was just the cherry on top. The finish line? It was just the view. Throughout your triathlon journey (as is true in life itself) it’s important to take a step back and keep perspective along the way. Think about your journey not as yourself as an individual, toiling away alone, but rather a collaborative effort – family and friends, your workplace, coach and so forth – all these people are supporting and encouraging you; helping and willing you forward. They are your personal ‘A-team’. Stepping back and realising you’re just one part of a bigger picture to which so many people are contributing (and making sacrifices for) helps to remove the “woe is me” factor, allowing you to focus on the task at hand with absolute clarity. If you’re not prepared to put in the effort and your why is not clear, then you’re not only wasting your own time, but the time of your support crew too. Anyone can find a coach or an online program to get them (in questionable forms of readiness) to the start line of an Ironman. But if you can find a coach who really instills in you the understanding that it is so much more than crossing a finish line, encourages you to revel in the journey; one that will expose your greatest weaknesses and push your physical and mental limits beyond what you ever thought possible? Then you’ve hit the jackpot. So, if you happen to find yourself on Struggle Street or hitting ‘snooze’ far too often, instead of searching for a superficial fix, take some time to sit down and reconsider what’s ultimately driving you. Remember, it’s okay for your why to change. It’s good to continually reassess your motivations throughout your journey. But if you’re not prepared to have these conversations with yourself and put some effort into your mental game, then come the finish line (if you even make it there), crossing it may very well leave you feeling unfulfilled and longing, wishing you enjoyed that journey more and perhaps wondering why you didn’t. Feel free to share your ‘why’ with us in the comments below, we’d love to know! What drives you? Us "A-Type" triathlete personalities tend to regularly get caught in the weeds of what we are doing. We find it hard to take a step back and look at things from a global perspective. We get so entrenched in the process and engulfed in the finer details, that we forget about the big picture of what triathlon, and in particular, long course triathlon or endurance activities longer than 4-5 hours, is all about. What are the majority of us missing you ask? A ‘bullet proof aerobic base’ - thanks for asking. Time and time again, one of the biggest oversights I see, is athletes being way too keen to go hard or more often than not, a bit harder than easy. More is better and faster is icing right!? Well, yes and no, and… it depends. It depends on how good your aerobic capacity is to begin with. What’s with this aerobic base/capacity business and why is it so important? Let’s take a few steps back here and get a solid grounding to build on. To begin with, in general, let’s say it takes roughly six weeks to strengthen a muscle (give or take). Add to this is takes roughly 210 days (6-7 months) to build connective tissue (properly) and you have yourself some grounding principles to work with at the basic physiological level. Of course, everyone is coming from different starting points, but as rule of thumb, this is pretty good stuff for a coach and athlete to remember. Layer on aerobic fitness and general adaptations to your cardiovascular system (heart and lungs etc) and you have the building blocks (amongst other things) for endurance. Marry all this with the golden rule of building fitness “CONSISTENCY” and then with the good old trusty 10% rule whereby you stick to adding about 10% of volume or intensity per week, and you have yourself a solid recipe base. As you develop in experience and knowledge, so too will the intricacies that lie within the customised (we hope) coaching and program you are following. 1%ers are for later on in the journey once the base is set. First and foremost, the most important thing you can do as an athlete is make sure your aerobic base is functioning at max capacity. How do I do this? Through consistency, frequency and strategically getting your volume to a point where it is sustainably maxed out for you, your present level of experience and ability, and of course, to what extent your current lifestyle allows in terms of time available to train. How long will this take? Well how long is a piece of string really!? No two individuals are alike and thus, why would we put a timeline on it. However, generally speaking, if you are being 90%+ consistent with the training laid out for you, you should see gains in fitness every couple of phases 8-12 weeks sometimes longer, sometimes shorter. Also remember, the fitter and more experienced you are, the smaller the gains and harder these are to come by. Throw in the general consensus that it takes 3-5 years of consistent endurance training and racing to really discover what you are capable of on to all, and you have yourself quite the patient process to look forward to. What does building an aerobic base look like? In my world and understanding, to build an aerobic base means to do the majority of your training at a very easy effort. In terms of zones (once you’ve got these set correctly) in a five zone model, you want to be spending most of your time in zones 1 and 2; in a three zone model you will be under ventilatory threshold 1 (zone 1); or good old RPE scale would have you at very easy to easy and being able to complete a ‘talk test’ whereby you can maintain a solid conversation with a training buddy (or imaginary friend) - basically be able to talk a full sentence without getting puffed out. There you have the predominant intensity for setting the scene towards building your aerobic base. Does this mean all I have to do is get around doing all this easy stuff? Not at all, there is a time and place for bringing in intensity, and during the base phase, this is very much included in a highly polarised approach*(predominantly). During the ‘base phase’ of any build towards a goal race, intensity is generally limited to short bursts of intensity (intensity being anything above zone 3 / tempo). When thinking about what intensity comes into an athlete’s program during a base phase, I like to think about efficiency first and foremost. Efforts are generally kept very short, under 60 seconds, and with plenty of recovery (2-4 minutes) between so as to make sure HR does not stay elevated for prolonged periods. More often than not, this might include a handful of 15-30 second strides to a strong/steady effort whilst running; 15-60” builds to a strong effort on the bike; and 25-50m builds in the pool interspersed with passive and active recovery. As the athlete progresses their aerobic base, so too does the intensity and duration of intervals used, as does the percentage of intensity distribution across an athlete’s weekly loading. *Polarised training is where we spend the bulk of time in the lower intensities eg. zones 1 & 2; under VT1 or ‘going easy’ and we spend the rest of the time up in z4 with very sparing amounts in z5. When we do any intensity, it is generally perceived that we avoid spending much if any time at all in zone 3 otherwise known as the grey zone**. In a nutshell, we go easy or we go fast/hard. *Grey zone training, an athlete’s biggest nemesis, particularly in the base phase of a build. Zone 3, affectionately called the grey zone is a kind of no man’s land. It’s too hard to be easy and too easy to be hard, so the benefits of spending any time there are neglegible, especially during a base phase. One of the major things we tend to find is athletes spending way too much time in zone 3 when they’re meant to be going easy in zones 1 or 2. What this effectively does is increase the amount of fatigue and loading (stress) on an athlete when for the same or better physiological benefits, you could be running a whole lot easier. To rephrase, you can pretty well get the same aerobic/metabolic benefits, if not more, running in zones 1 and 2, but for less tax and overall fatigue. There’s a time and place for some zone 3/grey zone work, but this is usually better spent as we get nearer races and need to spend some time becoming accustomed to race pace efforts. For the most part though, during the base phase, it is commonly agreed upon in the science world, that we are better off keeping things to a more polarised model. As mentioned earlier, the extent to how detailed things get and need to be, depends entirely on the individual athlete. For a relative beginner, the most important aspects are consistency, frequency, and volume of training. For intermediate and highly experienced athletes, the addition of intensity together with consistency and volume becomes important. At T:Zero, our coaches are on a journey of growth and discovery. Whilst we, like you, come from various backgrounds and levels of experience, we work hard to provide each and every athlete with the best customised programs possible. We have the foundation, the knowledge, the skill base, the humility and the confidence necessary to learn and flourish- just like you and your endurance journey. There are definitely no magic bullets in this sport, and for that matter, no ‘magic’ coaches with secret recipes either. It’s important your coach has the experience, knowledge, and skill-set necessary to work with the individual and ‘read’ a person, but we will touch on how we at T:Zero do this another time. My only advice here around coaches is beware of the coach that says they have the magic recipe and all the answers. If you’re looking for a magic pill to short cut your journey, you ain’t going to find it. Enquire now and join us on the upwards curve to endurance success. BECOME PART OF THE T:ZERO FAMILY HERE! The T-Zero camp in Bright – as an outsider coming in, it was not just a camp but a awesome week of learning, training and making new friends. Why did I sign up for a Triathlon camp as a complete outsider to a T-Zero camp? The motto I have lived by for a while is -“just say yes”. Complimentary to my nature of being a serial experimenter with training, this ethos has launched me into some quite amazing adventures and often had me receiving race and event confirmations seemingly minutes after just saying “yes”. 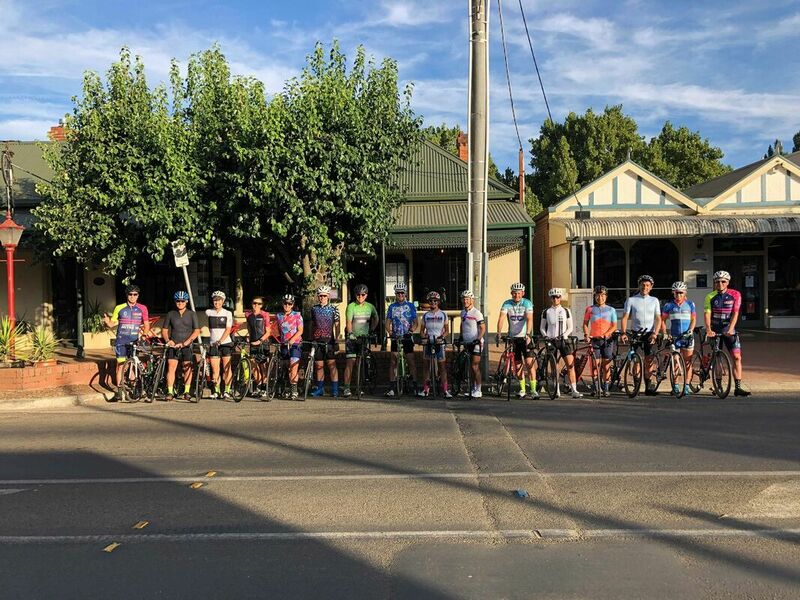 So, when I became aware of a week long training camp in Bright, a beautiful town in Alpine Victoria, and a central location to amazing bike rides and training opportunities – well, it was a no brainer, and before I knew it I had signed up. I have spent more than a few years on the triathlon scene and its fair to say I know quite a few people in the triathlon world and in Queensland particularly. I am pretty familiar with the major coaching groups and a lot of the coaches. But T-Zero? This coaching group was an enigma to me. When I signed up to camp, my sum knowledge of T-Zero was that they were based on the Sunny Coast, did individual, online coaching and had seriously cool kit. That was pretty much it. Having attended quite a few training camps over the years, I psyched myself up for a challenging week of physical training in beautiful Bright. More importantly, I mentally prepared myself to embrace the usual training camp scene of athletes jostling for attention, variable coaching levels and training turning into athletes racing each other…. all of the unknown plus the fact that I was a T-Zero outsider. I expected it to be challenging. So what completely surprised me about the T-Zero camp was that it was unlike any camp I had ever been on. On day one, our coaches, Rich and Scotty, set the scene for camp week and a request to leave our egos at the door. And what followed was quite simply one of the most enjoyable weeks of training I have ever experienced -with a group of seriously awesome individuals. I met athletes from all over Australia who had varied goals including endurance bike rides, ocean swims, triathlons, ultraruns and swim runs – athletes training for their own goals and coaches who were just as excited about these goals with as the athletes themselves. The camp base, T-Zero headquarters, was a brilliant concept. Athletes were welcome at the coaches’ residence at any reasonable hour to chat with coaches, other athletes and relax whilst using the Normatecs. In addition to team dinners, we chilled here during education sessions including nutrition, goal setting, teamwork and an invaluable sports psychology session by legendary Grant Giles. We are all now familiar with the “I am the sky, that is just a cloud” theory thanks Grant. Now to put it into action! The cycling opportunities were the obvious lure to Bright. Some serious km were covered with plenty of opportunity to enjoy the scenery and chat with other athletes. As far as the individual sessions went, my favourite was Mt Hotham - mainly because it felt kind of epic cycling up there above the tree line for as long as we did and having a few challenging, but achievable gradients, at the end. For a group ride, I loved Falls Creek rolling along with banter all the way. And just to top it off, having the opportunity to have another crack at Mt Buffalo at the end of a long week and long ride was pretty cool too - a bit of freedom to test some limits outside of a normally structured training week. There were run sessions both in Bright and at altitude, swim sessions in nearby Myrtleford and open water swims in alpine lakes. The strength session and yoga at the Bright Fitness centre were an added bonus too and we connected with our inner zen. Falls Creek training day was super inspiring with our awesome guest coach Annabel Luxford leading a run and swim at altitude – I don’t think we noticed the lack of oxygen as we chatted with her, listened to her training tips and enjoyed the scenery. The local coffee haunts, restaurants and ice cream shops took a bashing by the team and the calorie consumption would have astounded any member of the general public. Myself? Well, I left a fairly decent mark on the Lindt chocolate stocks in town! A lot was achieved overall in one small week – swim, bike, run, education, socialising and great conversation. But, more than anything on camp, the one thing that absolutely stood out was the T-Zero culture. Everyone was treated equally and that everyone’s goals were considered equally important. That leave your ego at the door comment coming to fruition. That success on a session was more about turning up and giving your best rather than being compared to anyone else on camp. And that everyone was there supporting each other to get the sessions done. Lots of teamwork in such an individual sport. So did my “just say yes” ethos serve me well? It is completely obvious that it did – not only do I now know a whole new bunch of amazing people but T-Zero is no longer the enigma it once was. Thanks for an amazing week! "An awesome all inclusive and professionally run training camp - great location and sensational athletes and coaches to train with - you know you have had a great 8 day camp when you want just a little bit more - booked again for next year - cant wait."